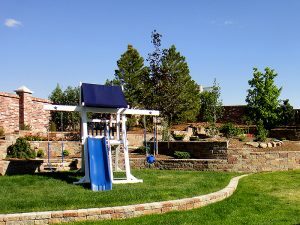 As local landscaping contractors, we truly understand the Denver region, and how the local weather impacts all aspects of the landscape design, installation, and construction of your home landscaping project. Our owners are natives of Colorado, and truly value our friends and neighbors in the Denver metro region. Our landscaping contractors take residential landscaping services to the next level. You may be looking to enhance your outdoor living areas with custom fire pits and patio design ideas. Or perhaps you have a larger-scale backyard landscaping project in mind, such as pond design and installation or custom retaining walls. Either way, you can rest assured that our residential landscaping experts can make your home landscaping dreams a reality! The combination of our commitment to quality, creativity, and years of experience has helped A Perfect Landscape become an award-winning residential landscaping company servicing the Denver region. 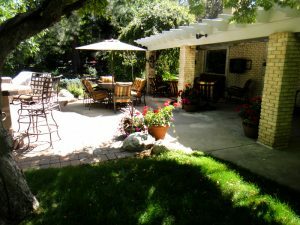 Our landscaping contractors firmly believe that great backyard landscaping designs add to the value of your home. Not only that, but when you enlist our home landscaping professionals, we’ll help you with everything from initial landscape design to complete installation. 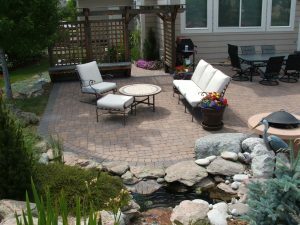 Together with our customers, we create an outdoor living space that will make you the envy of your Denver-area neighborhood. Our customized residential landscaping designs will instantly become an extension of your home, providing a fantastic place for outdoor entertainment, relaxation, and overall enjoyment. We focus on residential landscape services that build upon the unique characteristics of the home, the surrounding area, and most of all, the desires of the homeowners. Give our professional landscaping contractors a call at (720) 851-3034 and set up an appointment to discuss your home landscaping needs and get an estimate on your backyard landscaping project!